The Meinl ST-Djembe Stand is a djembe stand made with chrome-plated steel and L-shaped legs. 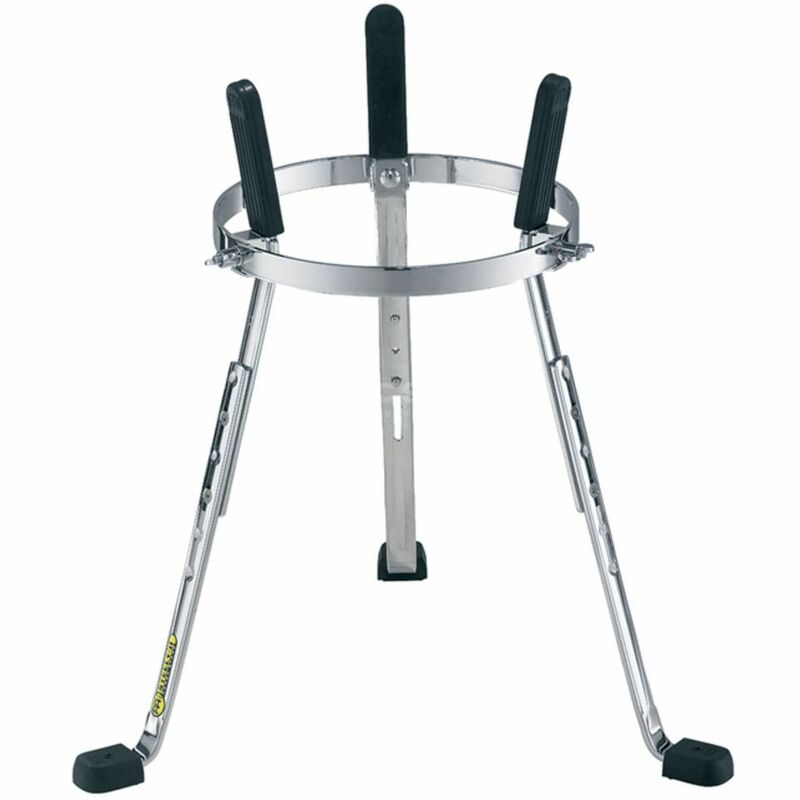 This djembe stand features a metal spike attached to each L-shaped leg, and a U-shaped notch is included for quick set up and breakdown. The ST-Djembe contains an ergonomic arched rubber bracing for more stability as well as further notches for quick height adjustability. A chrome-plated steel construction is accompanied by an allen wrench and 3 spacers to assist maintenance of this percussion stand.